No one doesn’t like these. That’s all anyone needs to know. This is the first part of a two-part recipe. See part 2 for the shells. Let’s skip the hard part and do the high level overview. You’re going to roll some wonton wrappers around some tubes and fry in oil for about a minute. Remove the tubes, and stuff the shell with a really easy to make ricotta cheese filling. Sprinkle the cannoli with some powdered sugar and eat. It really is that simple. 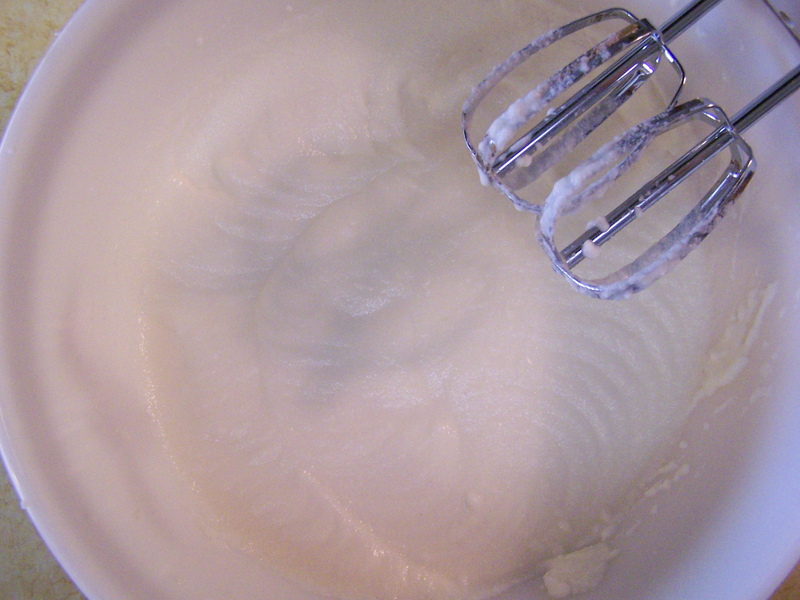 Cream the ricotta and sugar with a small electric beater. Fold in vanilla. Adjust sugar and vanilla to taste. Fold in chocolate splinters. See picture below for what a chocolate splinter looks like. 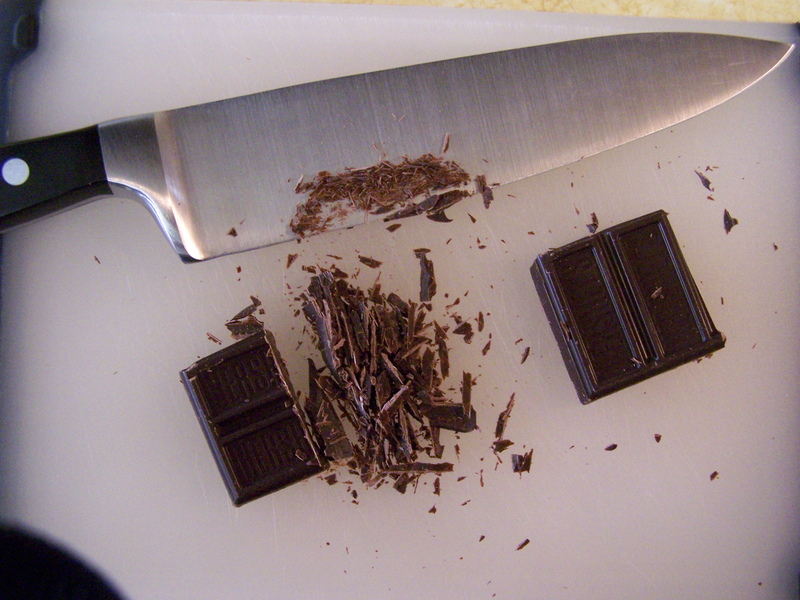 Use your knife to sort of shave off really narrow pieces of chocolate from a frozen piece of Special Dark Chocolate. Then cut the splinters in half. 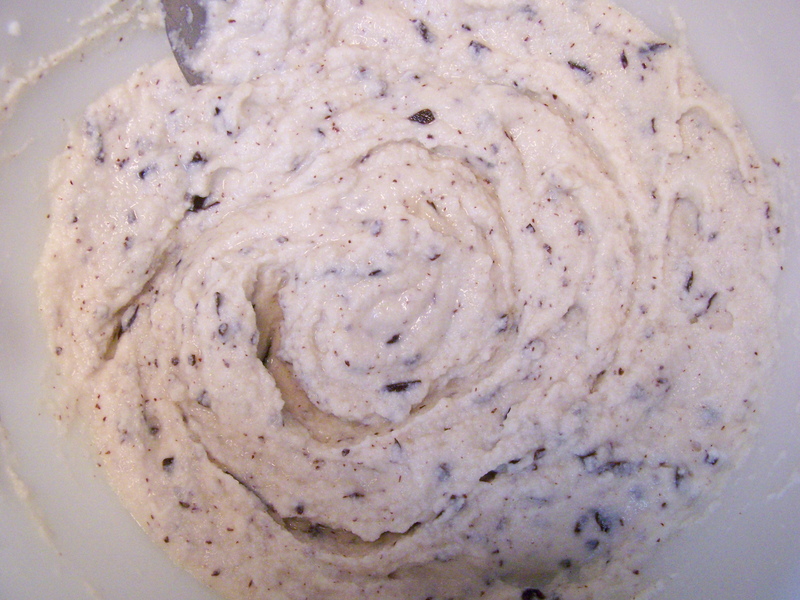 When it’s all over, the ricotta filling will look a little like chocolate chip ice cream. 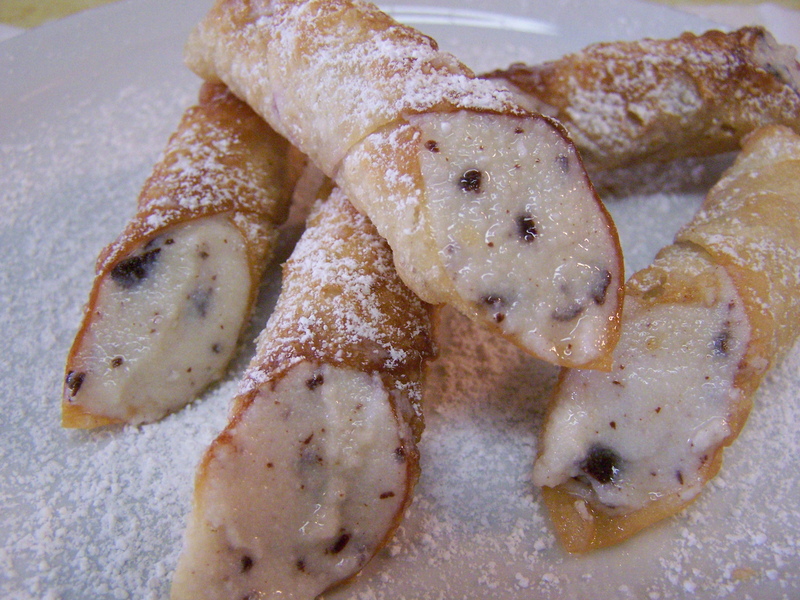 Use a teaspoon to fill the previously made cannoli shells (part 2) with the filling. See the picture below. Fill from both ends of the shell, so that the shell is completely filled. If you have a mason in the house, they’ll be good at filling the shells. It’s not much different from laying out mortar. And for part 2, it’s nice to have a carpenter around. There we go. All we need now is a use for a backhoe. Finally, sprinkle the filled cannoli with confectioner’s powdered sugar. 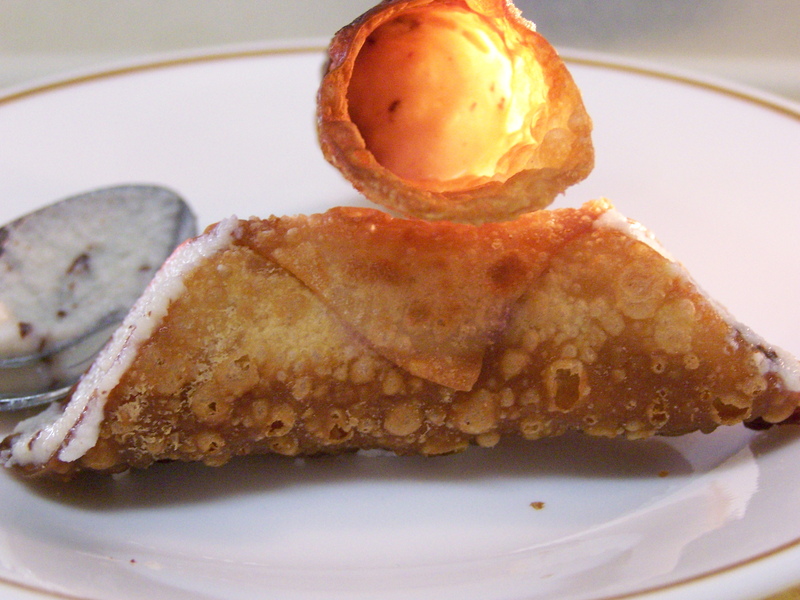 These cannoli differ from what you’ll find in either a bakery or a restaurant in two ways. One, they’re smaller. Two, this filling has no custard. It’s 100% ricotta filling. Most bakeries and restaurants use a mixture of custard and Ricotta. The 100% ricotta is more elegant, in my opinion. Unlike the bakery variety, these cannoli do not store well in the refrigerator once filled. The shell gets soft and the crunchiness is lost. It’s best to fill the shells immediately before serving. Filling the shells goes really fast. In fact, if you do the filling at the table, it will entertain your guests or family while they wait. The ricotta filling by itself stores well in the refrigerator. The shells can be frozen. Put the shells in a strong thick air tight container so they won’t be crushed by other freezer items. Unless you’re having a big party, you’ll have more shells they you can eat at one time. Try making a half batch of filling first and see how far it goes. That should make about 20 or so of these mini cannoli. Because the shells freeze well, you can make up another half batch days or weeks later and use the rest of the shells you have in the freezer. This entry was posted on 01/09/2011 at 09:35 and is filed under Recipes, Recipes, food, cooking and related items, Vegetarian. You can follow any responses to this entry through the RSS 2.0 feed. You can leave a response, or trackback from your own site.